117 pages, ill., map; 21 cm. 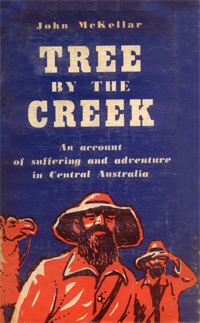 Originally a radioscript, the text is an imaginative account of the Burke and Wills expedition of 1860-61, narrated in the first person by John King, who was the sole survivor of the party which pushed on from Cooper's Creek to the Gulf of Carpentaria. More clearly than anyone else, John King saw the sequence of fantastic errors which brought Victoria's first proud expedition to ruin and which cost the lives of his gallant companions in the dash to the Gulf. However one measures Burke and Wills' success or singular lack of it, readers of all ages will find this an admirable account, recapturing something of the spirit of high adventure and courageous endurance which motivated Australia's inland exploration of a century ago and which has become a cherished part of our heritage.